Cyprus in four years has overcome the consequences of a bank default, and sets an ambitious goal to attract wealthy private investors. By and large, Cyprus is now in the beginning of the road, which at one time held the principality of Monaco. When choosing a place of residence wealthy investors pay attention to a few key points: low taxes, asset protection, and a unique way of life. For most of the parameters of Cyprus is already close to Monaco. This is a serious bid for victory in the struggle for millionaires. The indisputable advantage of a small principality - the almost complete absence of income taxes (with the exception of the inheritance tax). But Cyprus is not far behind. 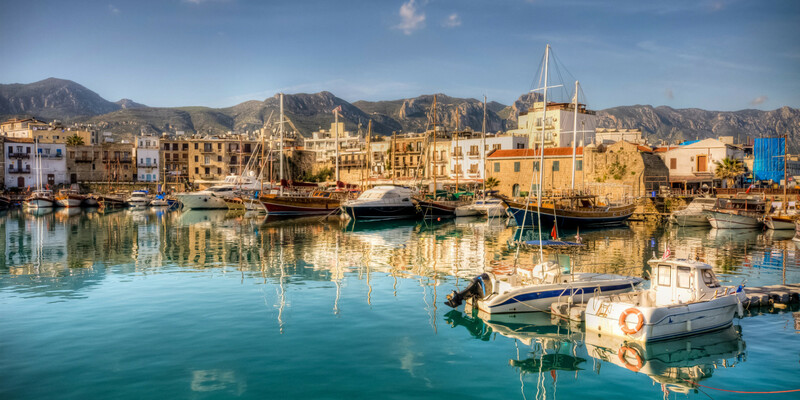 Despite the fact that over the island nation has long been entrenched status as one of the most popular tax havens, Cyprus continues to make its tax system more loyal. In matters of legal protection of assets as Cyprus is comparable to the UK and wins Monaco. Cyprus has English law, by virtue of its flexibility guarantee a high level of protection of assets (for example, through the use of trusts and other instruments). Monaco is subject to the same system of law of the continental - much less perfect and not giving their subjects effectively plan the ownership and inheritance of assets. Another important criterion for comparison is the quality, style and originality of life in the two countries. In other words - what can make wealthy foreigners to move from the status of ordinary tourists in the category of investors interested in permanent residence. Here Cyprus continued to be on the European principality rapidly developing more and more new projects. This, above all, expensive and unique facilities for the whole Mediterranean premium real estate. 15 new skyscrapers along the coast, the villa Limassol Marina with its own jetty and infrastructure (cost varies from € 2 to € 7 million), is being built business center Oval, designed by famous architects Atkins Bureau and already sold out at 93% - are just a few prominent examples . Development in Cyprus continues to grow - with the release of the crisis the volume of construction per year was added 10-20%, while the number of transactions by foreign investors has grown over the past year 40%. With the pace of development of the Cypriot coast has the potential to acquire a new look and become an epicenter of investments in the Mediterranean within 3-5 years. Another big step in Cyprus on the way to Monaco level - the creation of the casino industry and large-scale gaming and entertainment complex that promises to become the largest in Europe and to compete with Monte Carlo attracted by tourism and investment flows. Do not forget about the immigration policies of Cyprus. In exchange for the investment in the economy (for example, residential real estate in the amount of € 2 million) can be obtained Cypriot passport just 6-9 months. The investments can be returned in three years, as a prerequisite to buying a residential facility allows Cyprus simultaneously stimulate new construction. This program is very attractive for millionaires from the CIS, the Middle East and China. Perhaps it is they who will shape the "new Monaco" in a few years. Thus, Cyprus is moving towards creating an effective "foreign investor's economy." The new goal of the Cypriot Government - wealthy investor from Europe and developing countries. Accents on the lower tax burden, investment style and premium life present Cyprus is Monaco at an early stage, thus already exceeding it in some respects. For more detailed information, please contact the professional team of ReLux Estates.